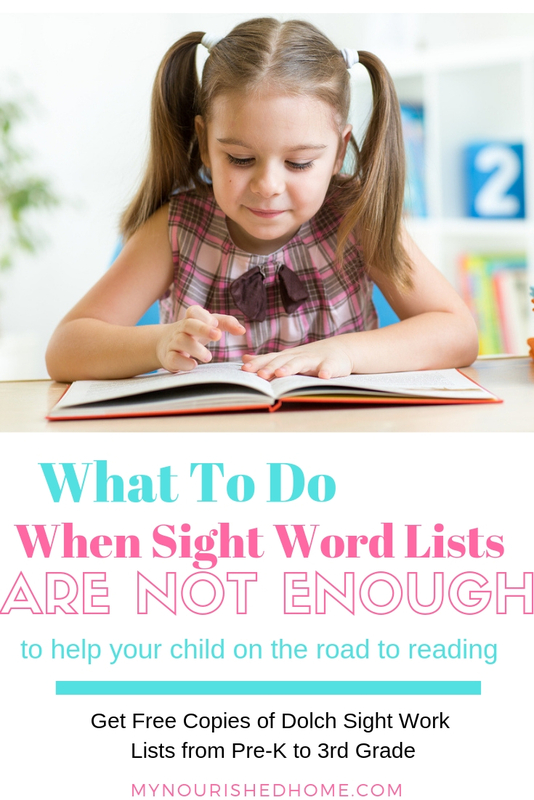 What to do when Sight Word Lists are not enough for your child to become a strong reader? From preschool, kids begin receiving sight word lists to help them recognize the most common words in the English language. Most schools use the Dolch sight word lists since it is the most common. And these words make up the majority of the text kids will see at this age. They are a vitally important tool for getting your child on the way to being a strong, independent reader. 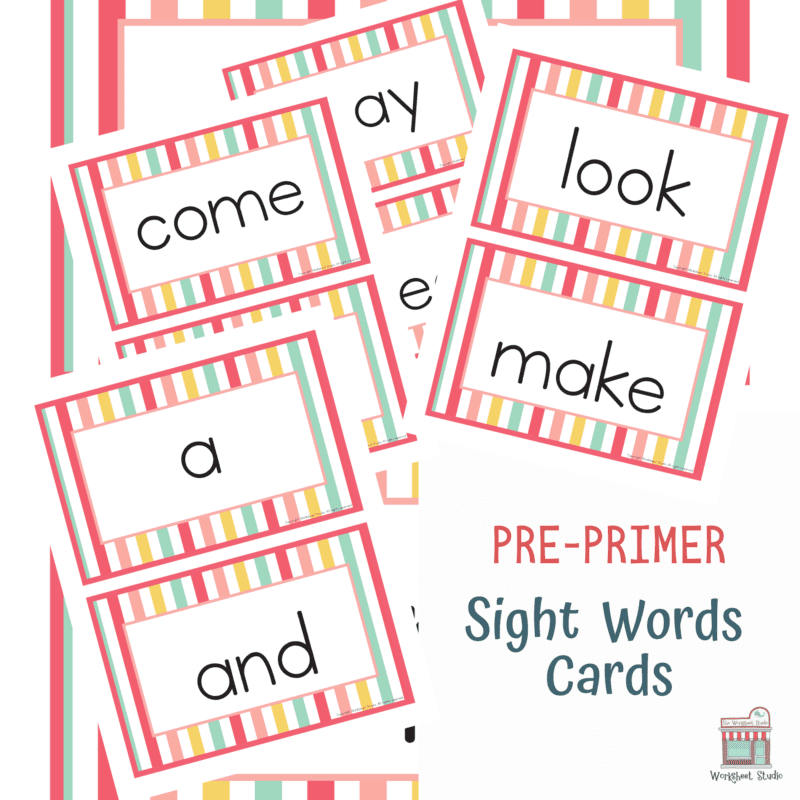 If you need copies of the Dolch sight word lists, you can sign up for our newsletter below and I will send you copies of the pre-primer lists all the way through third grade. Each of my 3 kids has learned in different ways – and have excelled (and struggled!) at different parts of their education. My oldest daughter is in college now but as a young child reading and sight words came easily for her. School was a breeze and when she was my only child, I admit, I felt like hot stuff that my kid was super smart and whizzed through all of her schoolwork with no issues… Until we hit middle school math. There were more tears shed over math homework than I could ever count in this lifetime. It was agony. Thankfully we lived through it and she can laugh about we can all laugh about it now. My second child is in second grade and learned to read quickly – in fact, I did literally NO WORK to help her. One day she figured out letter sounds, the next she was reading chapter books. I just happened. It made sense to her. But she needs encouragement to be creative. When my 3rd came along, I wasn’t expecting her to struggle learning sight words. It hurt to watch her struggle. I just wanted to fix it for her. But the harder I tried to fix it, the more frustrated she became and the less the wanted to study. She was off the charts smart in math… early reading skills did not magically happen for her. So I took a deep breath. I looked at the sight word lists that had come home and started devising a better way to support her. The first lesson… she was just a Kindergartener. “Studying” was not fun. So I set out to make it fun. I have a dear friend who has a degree in childhood education, homeschooled her 3 kids, and happens to be a designer and create educational activities as a side hustle. I called her and shared our current challenge looking for any advice I could find. She created these Sight Word Flashcards for my daughter and I wanted to share them with you. I really like that they are bigger than most of the flashcards I have seen, they are good for little hands. And they are good for sight word games. I laminated a set of cards and bound them with a ring. I kept them in the car with a couple dry erase markers (and I keep wipes in the car for easy clean up). Anytime we were driving around, she could trace the words. She also likes to play playdough and magic sand with the laminated flashcards. She would lay them flat on the table and would mold the art supplies to match the letters. She would trace the words directly onto non-laminated cards, then flip them over and try to spell them without looking at the front of the card. I have 3 daughters, so I talked them into playing school. Instead of making my youngest a student, we made her the teacher. She would flash the sight word and decide who knew the sight word she displayed. She went all in with this one! She gave out stickers for correct answers and helped teach her 19-year old sister learn to spell her Kindergarten sight words. We selected early reader books to read together and kept the flashcards on the table. Whenever she saw a sight word we were working on, she got to put a sticker on the card. Suddenly learning sight words were no longer a chore. They were fun! Especially because we got the family involved. If these Sight Word Flashcards would help you and your child, you can find them at Etsy. They have from pre-primer Dolch sight words all the way through 3rd grade. So they have been helpful for my second grader too. 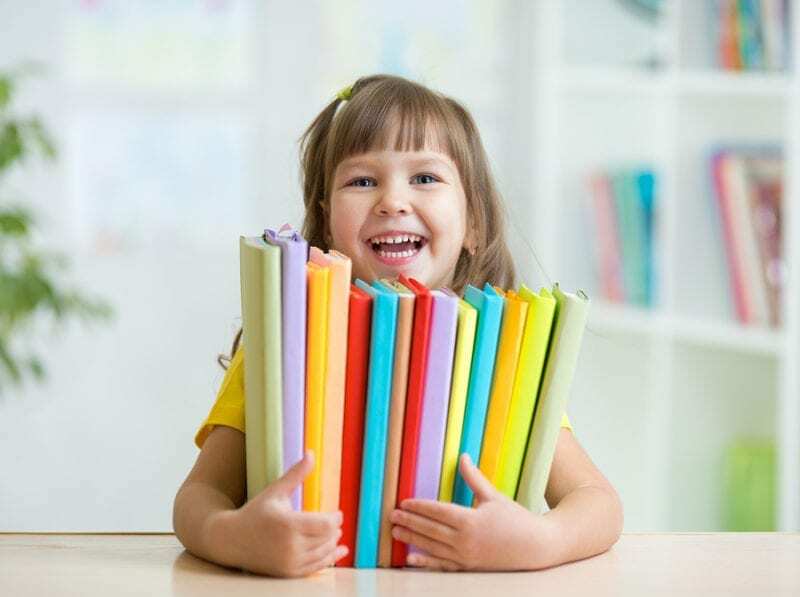 What activities and resources helped your kids learn to read? Please leave your ideas in the comments! Sight words are so hard for some kids to learn! My oldest struggled with dyslexia and learning to read took years and years and years of intensive intervention. The other two kiddos? They learned without any problems at all! I love that these cards are larger than normal! It makes them so much easier for little learners!